The year Alicia Hansen started high school, she began working for her mom’s catering business, which meant savory entrees and sugary desserts were constantly within reach. “My mom is an incredible cook,” says the 26-year-old Cleveland event planner. Never athletic, Alicia didn’t burn nearly as many calories as she sampled, and by her freshman year of college, she was carrying 250 pounds on her 5’9″ frame. In the middle of that year, Alicia was shocked when she saw a recent photo of herself. “The size of my arms freaked me out,” she says. 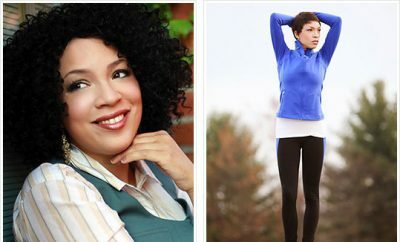 “I thought, Wow, I didn’t always look like this.” Alicia immediately resolved to become healthier. 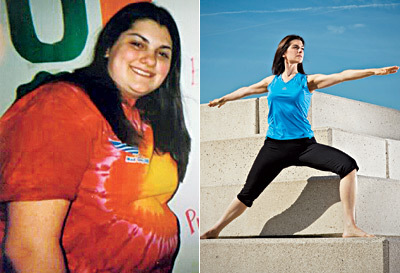 Knowing that food would always be part of her life, Alicia began practicing moderation. She measured out servings of pasta and cereal, and made a piece of chocolate or a small ice cream a weekly treat, not a daily one. To burn off extra calories, Alicia worked out on the elliptical machine for an hour every other day. 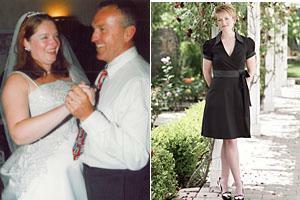 By the time she graduated, in May 2005, she had dropped 40 pounds–but then the scale stalled. She kicked things back into gear by adding the powerfoods she’d read about in Women’s Health to every meal—foods like turkey, eggs, and nuts that helped her curb cravings and stay full. She also added cardio kickboxing classes to her fitness routine: “Sixty minutes and you’re sweating buckets!” By October 2009, Alicia had shed nearly half her body weight.